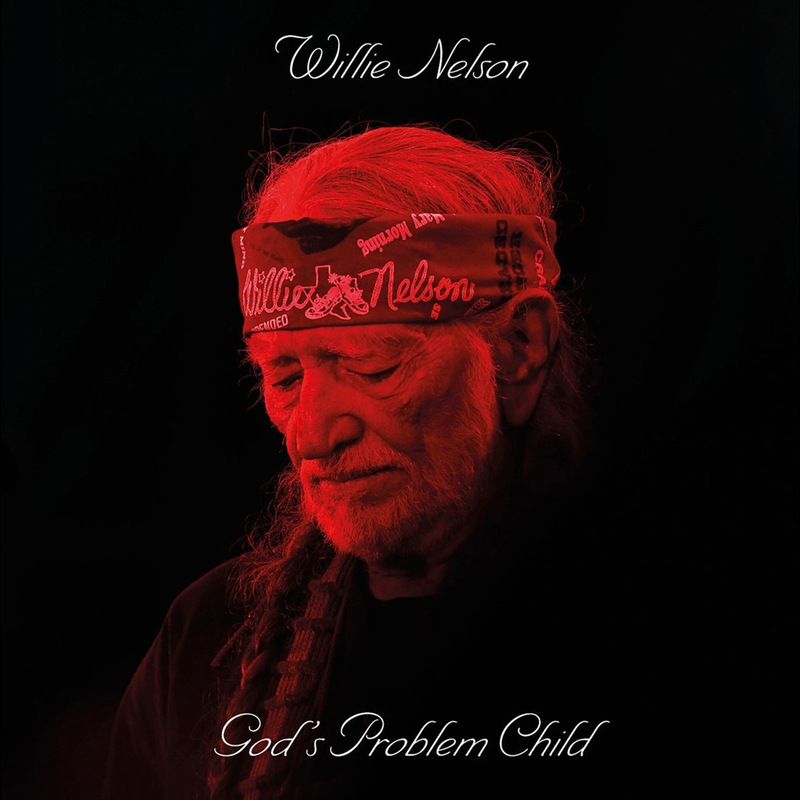 Weather-worn Willie Nelson offers his wrinkled soul to the heavens with his first album of new songs in three years – God’s Problem Child. Aged 83 (this album was released a day before his 84th birthday) the Sheriff of Country has reached a spiritual upland and nearly every song on this 13-track record traverses life’s tightrope. Sometimes bleak, sometimes funny, but always honest and caustic. However, that Nelson chooses the subjects of senility, death, regret and longing can come as no surprise for a man slowly edging towards the eternal precipice himself. Highlighted in the sarcastic “Still Not Dead” where Nelson has rarely delivered such toxic quips, seemingly goading the Grim Reaper: “I woke up still not dead again today”. Sticking his middle finger up at ol’ Grim he then takes a tongue-in-cheek swipe at reports of his death: “The internet said I had passed away. Well, if I died, I wasn’t dead to stay”. Even the album title, God’s Problem Child, suggests a playful acceptance of the inevitable whilst the title cut itself features the late, great, Leon Russell (aka The Master Of Space And Time) in what is believed to be his final performance before his passing last November. Under the album’s bonnet too, producer and co-writer of seven songs Buddy Cannon’s 92-year-old mother, Lyndel Rhodes, pens the opening track “Little House On The Hill”. Beautifully reimagining the classic “When The Saints Go Marching In”, the tone of the album is most obviously laid and the listener is invited along to enjoy their oncoming sunset. But this doesn’t mean that as an album God’s Problem Child is a heavy load. True, every song ebbs from slow to mid-tempo but the Americana twangs seasoned with trademark Country weeping steel pedals, acoustic guitars and percussion make for an emotional, warm and often uplifting listen. The use of mouth organ also adds a jaunty feel to proceedings. Furthermore, as Willie Nelson is being so honest it is nigh on impossible not to relate to the glories and failures seasoned into his lyrics. On the more playful love song “Your Memory Has A Mind Of Its Own” he croons: “If your memory had eyes they’d be crying”. Stiffen that upper lip though because you don’t stay relevant in this business without one key ingredient – resilience. And Nelson strums the bejesus out of it. Having hit the stuffing out of country music for over 60 years, Willie Nelson was inducted into the Country Music Hall of Fame in 1993. He has released a whopping 61 studio albums, 10 live albums and 37 compilation albums – quite simply Nelson is an American icon and the face of outlaw Country music which boasts friends Johnny Cash and Waylon Jennings among the gang. Indeed, such is the love for the Red Headed Stranger that when the IRS bankrupted Nelson in 1990 following a staggering $16 million tax bill (literally leaving him with only his beloved guitar Trigger) fans came to his rescue and bought back his portfolio for him – including home, country club and recording studio. To this day, Nelson still performs and records using trustworthy Trigger. The reverence with which Nelson is held by the music industry is tangible on this album too. Boasting songwriters and performers ranging from crooner and guitarist Tony Joe White to Grammy-winning Gary Nicholson, there are very few lapses either musically or lyrically. The track “Delete And Fast Forward” offers an interesting insight into Nelson’s political views lashing at Donald Trump’s victory: “The elections are over and nobody won… had a chance to be brilliant and we blew it again”, whilst “Butterfly”, written by Sonny Throckmorton and Mark Sherrill, is a haunting ballad warmed by excellent electric guitar. However, Nelson saves the most poignant song for last with “He Won’t Ever Be Gone” which pays tribute to his best friend and fellow Country Music Hall of Famer, Merle Haggard, who died during the recording of this album in April 2016. It opens with: “Got the news this morning and knew it’d be a tough day” and chronicles their friendship and his admiration through references to their songs: “Music made us brothers till the end, not a day goes by that I don’t miss him”. And that’s the problem with being human, we are all mortal. Be it Bowie, Prince, or Willie Nelson himself, the curtain will fall and this record acknowledges, salutes and even welcomes that. Nelson is no 2017 airbrushed prima donna artiste and high definition photography certainly do him no favors – he is simply an outstanding musician with a lot of humility, heart, warmth and humor. Honestly, while George Harrison’s guitar gently weeps you can’t help but imagine Trigger is having a whale of a time. Full-blooded journalist turned freelance editor flying in the face of Brexit by quitting the UK for Berlin. If it can be sung, hummed, whistled, played or streamed (disclaimer – legally!) then I’m in: like my stance on the EU. Let’s crank up the volume and climb that wonderwall.